"Visual Pharmacy Plus": "Mail Order Pharmacies"
Visual Pharmacy Plus™ Mail Order Software is a fully integrated, real-time, prescription processing software. This software is designed for pharmacies that provide prescription fulfillment services via mail. The system offers a high degree of functionality combined with an easy-to-use graphical interface. The software includes Physician Order Forms, Order Processing, Unit Dose, Cycle Filling, Facility Accounting and Clinical Reports. Whether you fill 50 or 5,000 prescriptions a day, the AbacusRx Visual Pharmacy Plus™ software handles it with ease. Abacus Rx has developed the premier pharmacy management software in the industry "Visual Pharmacy Plus". 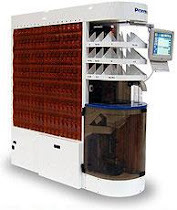 Visual Pharmacy Plus is an easy to use, single screen 100% userfriendly managment system. Abacus Rx has designed bundled software solutions to insure that pharmacists have access to all the tools they need to make their day-to-day operations smooth, whether they are operating a retail pharmacy or a long term care facility closed end operation. Designed as a fully integrated pharmacy management system, the HIPAA compliant Visual Pharmacy Plus™ centralizes data and reporting. With its easy-to-use graphical user interface processing new prescriptions and filling refills is quick and easy. The system makes processing claims, managing inventory, billing, adjudication, reporting, and maintaining and updating data easy. AbacusRx maintains an up-to-date database of all physicians nationwide, over 8,000 insurance companies, all manufacturers, major Sigs in multiple languages, more than 100,000 drugs and much more. 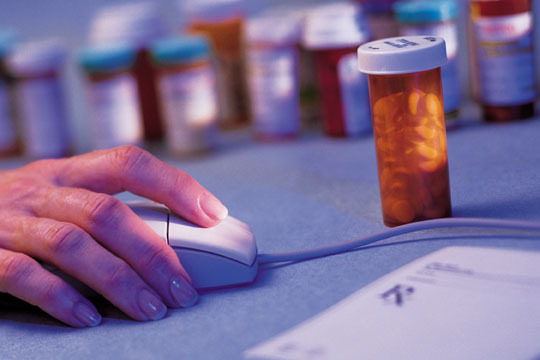 The access and maintenance of this data insures that your pharmacy stays ahead of the competition.